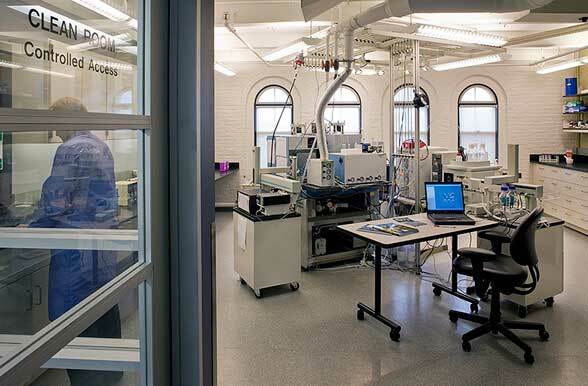 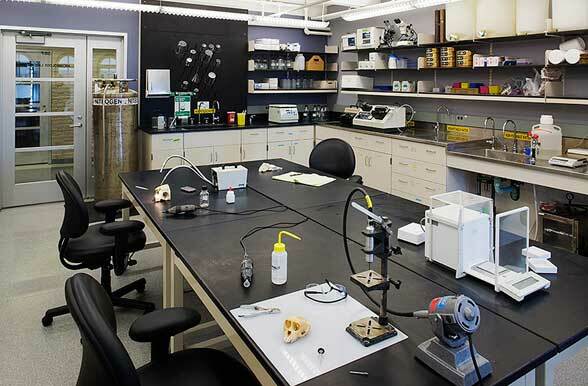 This new 3,000 SF highly technical laboratory for the scientific analysis of anthropological specimens is located on the fifth floor of the historic 1880s Harvard University Museums building. 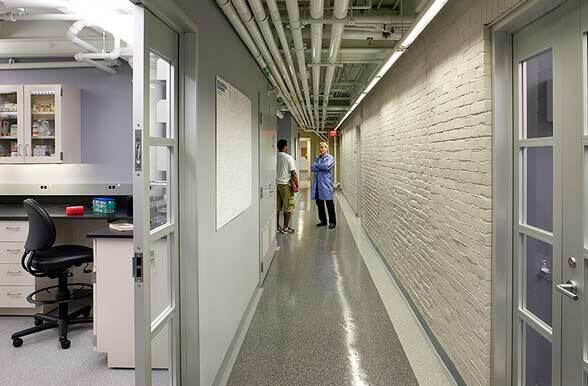 Lacking infrastructure for the support of sophisticated laboratories, HVAC, plumbing, electrical, and fire protection services were provided from new equipment housed in nearby spaces or brought in from other sections of the building. 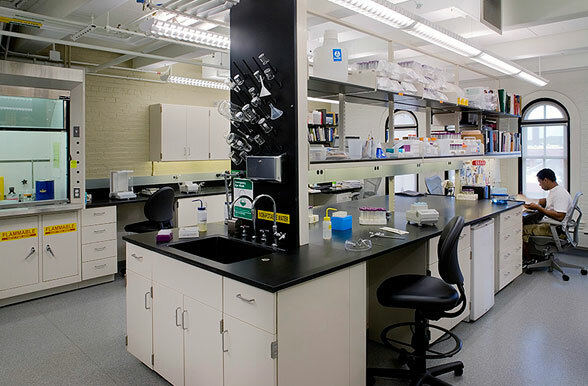 Laboratory requirements for various types of process water, hazardous gases, fume hoods and special exhausts; a low-level clean room; and acoustical isolation of noisy equipment required interventions in many adjacent portions of the structure and special construction considerations for isolation from adjacent collections storage and library spaces.